2014 Stanley Cup Championship Parade on June 16, 2014. LOS ANGELES — Although the pageantry is nothing compared to the annual Rose Parade each New Year’s Day in Pasadena, California, when the Los Angeles Kings win the Stanley Cup, as they did for the second time in franchise history on June 13, 2014, their celebratory parades are just as special, just in a different way. An estimated 300,000 fans lined Figueroa Street and Chick Hearn Court in Downtown Los Angeles as Kings players, coaches, staff, and their families rode double-decker buses and one specially equipped semi-trailer truck south on Figueroa Street, starting at 5th Street, before turning west onto Chick Hearn Court, between Staples Center and L.A. Live. 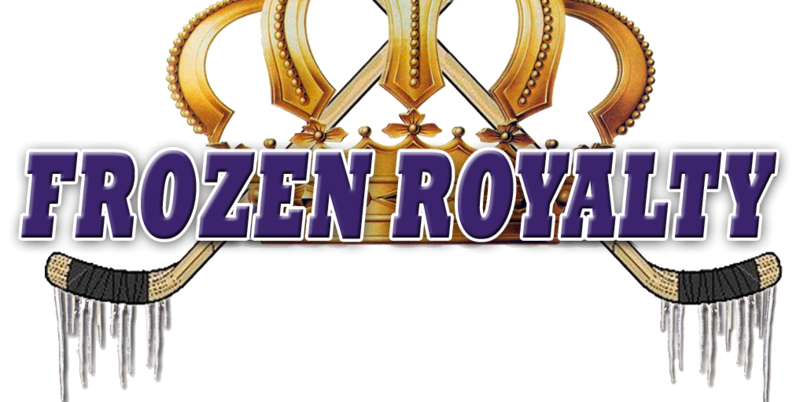 Frozen Royalty was there to cover the celebration, and in the next few days, will feature a couple of stories with fan reactions. Meanwhile, photographer David Sheehan was also on hand to capture both the parade and the rally inside Staples Center in photos, which you can view below. 117 photos by David Sheehan. ©2014 FrozenRoyalty.net. All rights reserved. Duplication, re-distribution prohibited without explicit permission. Click on any photo to view a larger image, and to scroll through the gallery. LA Kings fans Ida Holth (left) and Per-Christian Holth (right) traveled to Los Angeles from Oslo, Norway for Game 5 of the 2014 Stanley Cup Final at Staples Center on June 13, 2014, and for the 2014 Stanley Cup Championship parade in Downtown Los Angeles on June 16, 2014. A fan answers trivia questions posed by LA Kings in-arena host Carryln Bathe (spotlighted, right). LA Kings in-arena cost Jay Flats (spotlighted, with microphone in hand) with a young fan. Center Anze Kopitar carries the Clarence Campbell Bowl onto the ice. Right wing Justin Williams carries the Conn Smythe Trophy onto the ice. Forward and captain Dustin Brown carries the Stanley Cup onto the ice. Eric Garcetti, Mayor, City of Los Angeles.